We get it. There’s a lot of people on social media. In fact, Fast Company reports that at least 93% of marketers are using social media to market their businesses. 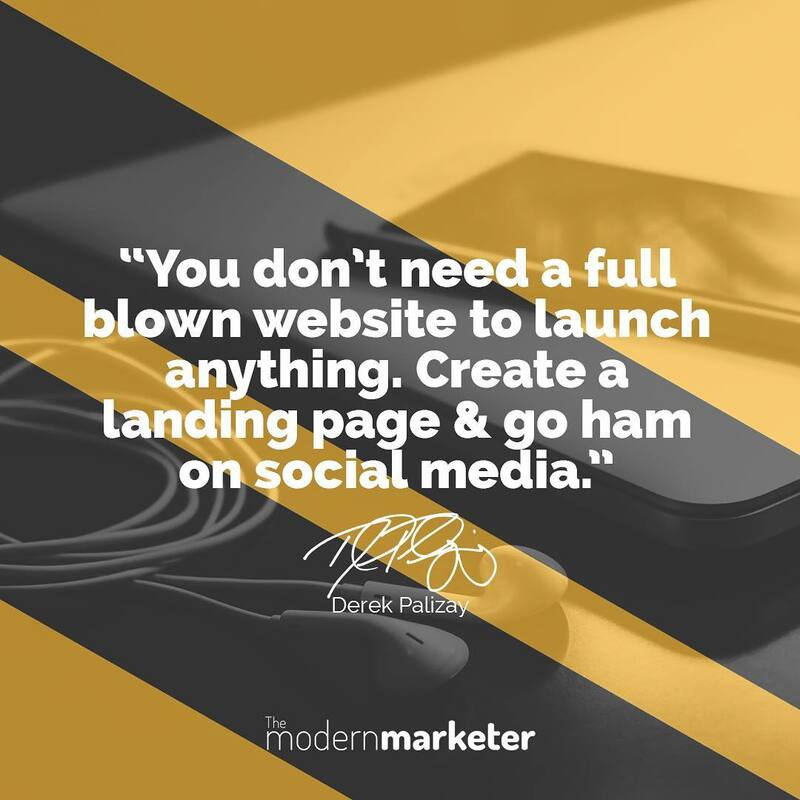 Due to staggering social media growth on virtually every platform, I run into a lot of entrepreneurs on and offline who are cynical about digital marketing, especially in regards to social media. We’ve weirdly turned social media into this annoying, unfair obligation that none of us can figure out because it’s just TOO late and there are TOO many people. How long have humans existed on earth? A very long time. How long have businesses existed on earth? A very long time. How long has the internet existed? Exactly. Not that long if you think about it. Whatever your excuse is to why you aren’t crushing social media every day, face it. Face your fear of not doing well on social media. It’s vulnerable. 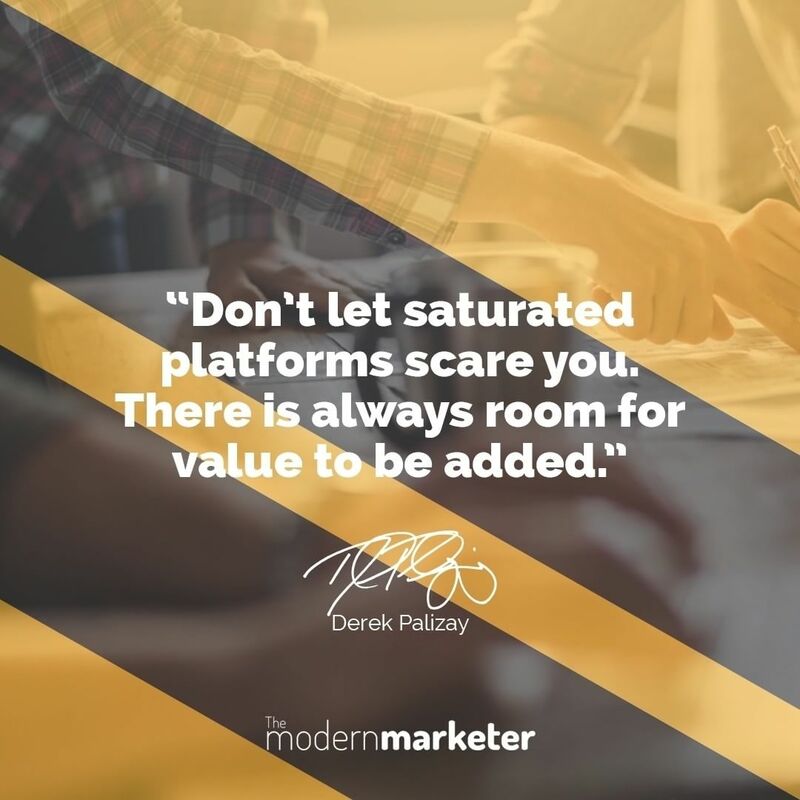 The platforms that are popular now-a-days allow little room for fake people and brands. There is always value to be added. In my experience, it hardly takes 6-9 months to crush it and become an authority figure on social media. It took me 8 months with my first business, it takes me about 9 months with most clients, and it only took about 6 months with The Modern Marketer brand. 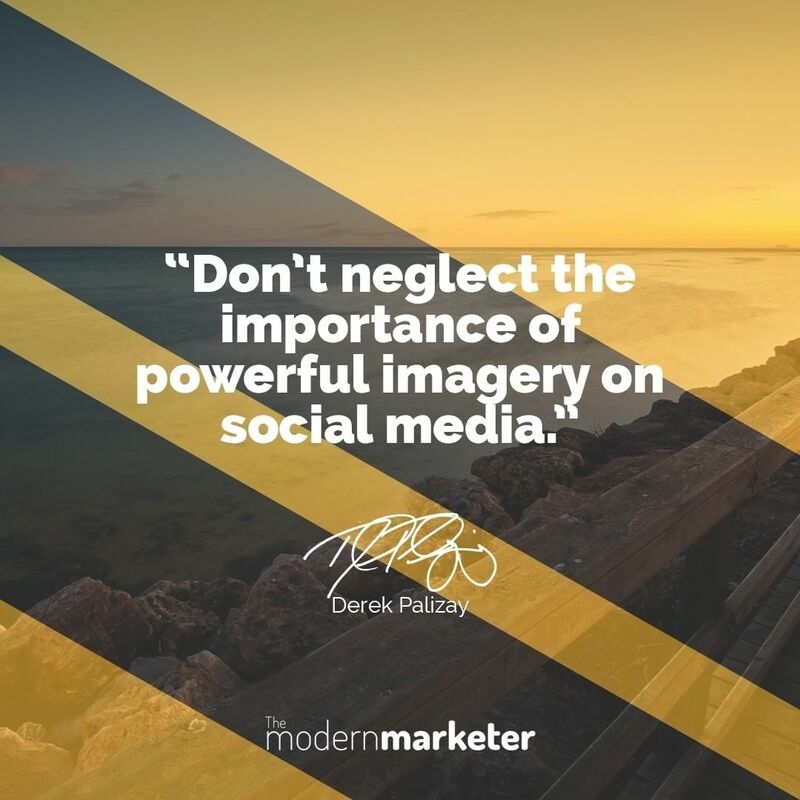 Social media is filled with the “highlight reels” of businesses, organizations, and individuals who edit the perfect images to present to their audiences. I understand. Just because that is true doesn’t mean that’s an excuse to have crappy looking content on social media. 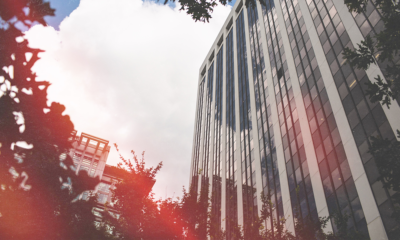 Your brand deserves to be represented with stunning visuals. I get comments every day saying, “Whoa, how do you make your images? Who takes your pictures? What programs do you use?” And I take that as a compliment because people don’t expect a marketing brand to have great imagery. Most marketers post atrocious images, even if it IS paired with good content. It’s kind of humorous. You know what I mean? People do it in your industry too, and you SHOULD NOT follow suit. My challenge for you today is to enhance your branding immediately. No, I didn’t say re-do your logo…I said enhance your branding. Your imagery, your graphics and your overall presentation all need a facelift. 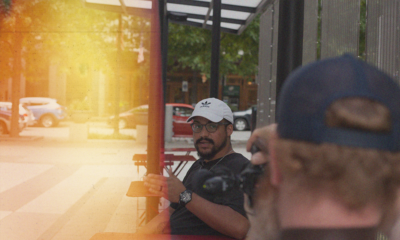 I’ve talked a lot about user-generated content over the past 8＋ months, and I thought it was very interesting to watch the progression of user-generated content within some of the biggest brands in the world. 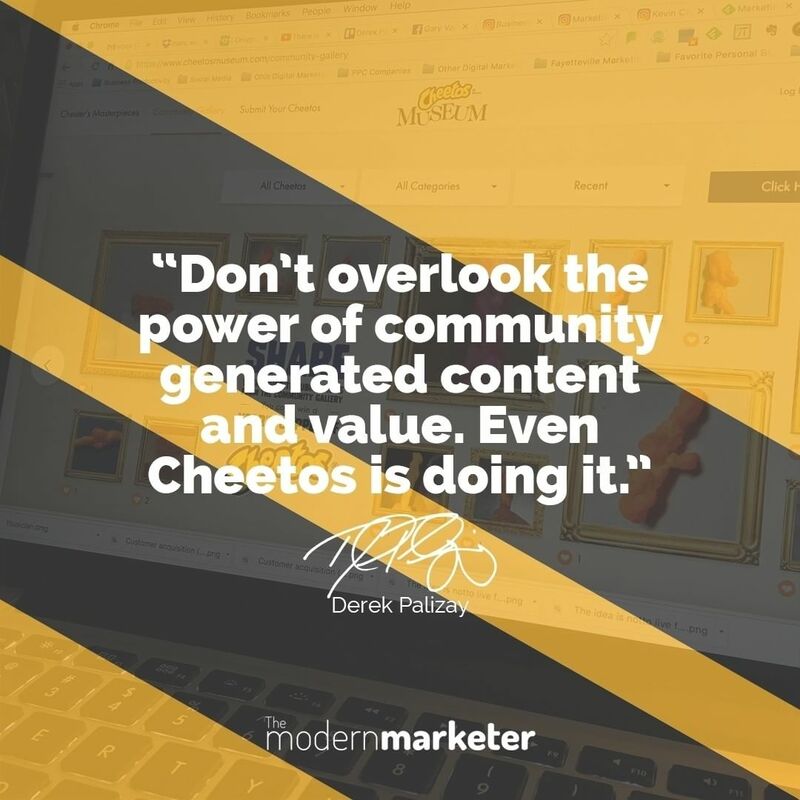 Even at the highest levels, CMOs (chief marketing officers) are realizing that community is all that matters. It’s more relatable, it’s real, it’s easy, and it’s powerful. So many of you don’t realize the power of reaching out. THE POWER OF REACHING OUT. If you put a gun to my head and told me that I could only do 2 things in marketing for the rest of my life, it’d be content and reaching out, content and reaching out, content and reaching out. Because that’s a great formula for growth hacking your way into some serious revenue. Some of you right now could add to your bottom line almost immediately if you ran a community generated campaign. Think about it. If you have questions, comment below and we will discuss. Don’t go through the motions of business just to go through them and check a box. I’ve literally seen entrepreneurs launch a new brand or even single products with hundreds of thousands in sales out of the gate. No joke. They didn’t spend 6 months and tens of thousands of dollars creating websites, taking the perfect pictures, waiting on things to be in place, writing the perfect structured content, etc. Those are all important things, but not if you aren’t willing to knock out your basic business competencies. I’ve seen my clients sell $10k in 24 hours to a cold audience. Revenue IN THE BANK and a ton of customers…just like that. Sell 1 product really well. Not 5, 15, or 30 products. Just one. The less options the better. And advertise the CRAP out of that micro funnel. Then at least you have a legit business that’s killing it in sales—THEN you can worry about your $5k website, your advertising, your culture, your team building, etc. Stop depending on people to come to you for business. It just doesn’t happen online. You have to reach out and grab leads and sales. 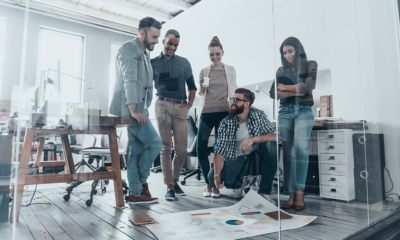 The silly thing is most of us would rather rack our brains on why we aren’t selling more, than to simply put up an offer and start generating leads. 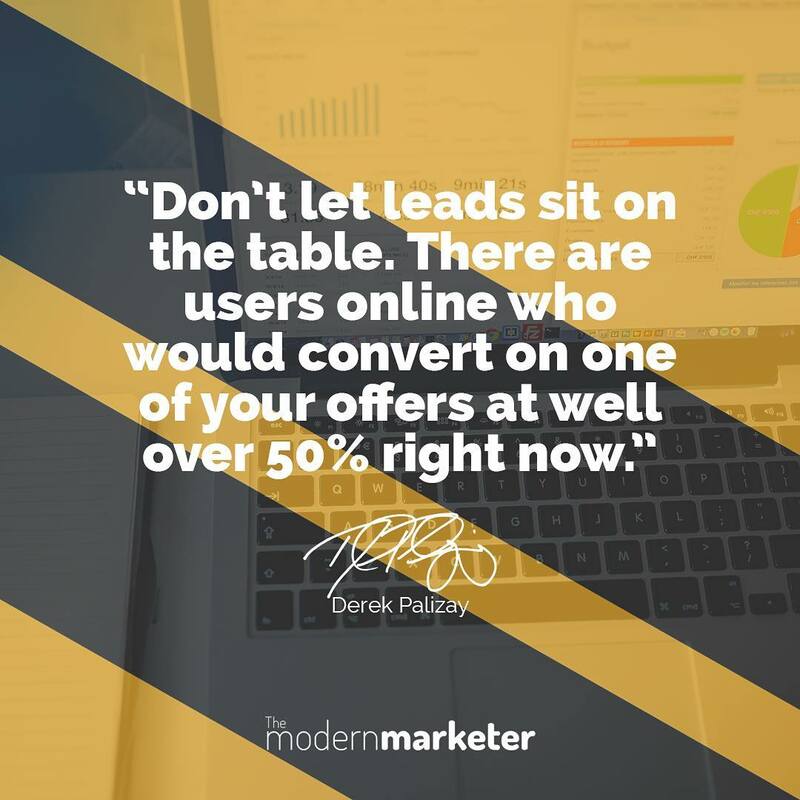 I’ve done this with my brands and my clients plenty of times—simply throw up an offer and generate leads. Especially if we are in a place where we don’t have anything “special” happening in business per say. We throw up a landing page and start converting leads on ebooks, white papers, videos series etc. Quick Case Study: One of my clients threw up an interactive quiz and generated 10k leads in less than a week with an ad spend of less than $10/day. The results were an anomaly, but still followed the same principle. We were just sitting on leads and we didn’t know it. If you do nothing else in a day of marketing, at least generate leads—then you have fresh contacts to market and sell to. Let’s say at the end of the year your small business was sitting at $1-3million in revenue or your medium sized business was sitting between $10-100million in revenue. 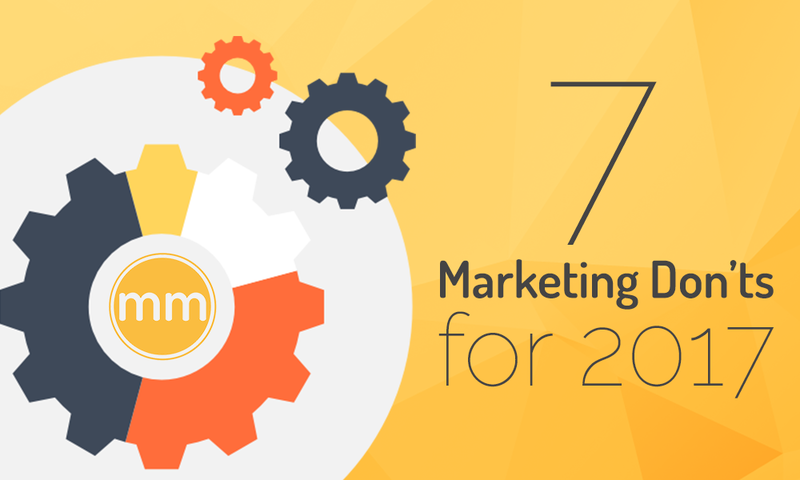 Image if that number was only 75% of what you could have generated if you wouldn’t have disregarded a certain segment of your audience. A few of the businesses that we’ve worked with didn’t even know that their entire brand presence and marketing message was disregarding their secondary audiences. 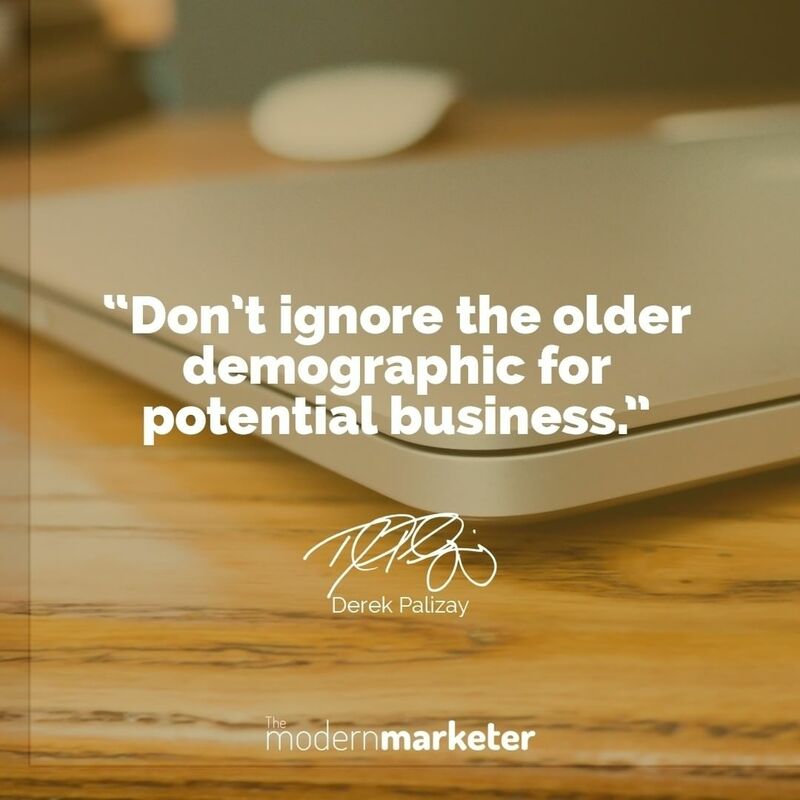 We (marketers) are always chasing the newest strategies, software, products, tools, services and technology, causing us to think of the younger demographics and how we can acquire, convert and engage them. All while leaving revenue on the table with our secondary audiences. The older generation has family, they still have buying power and most of them are interested in the same products and services that are on the market today. You don’t need a degree in data science or data analysis to understand what is working for your business. Take the next 24 hours to study the metrics and KPIs you need to be tracking for your inbound marketing efforts. Then, after you’ve completed the above and only then, compare your recent results to the benchmarks for your industry. Is it greater or less in performance? Analytics and data are simple when you break them down into steps. 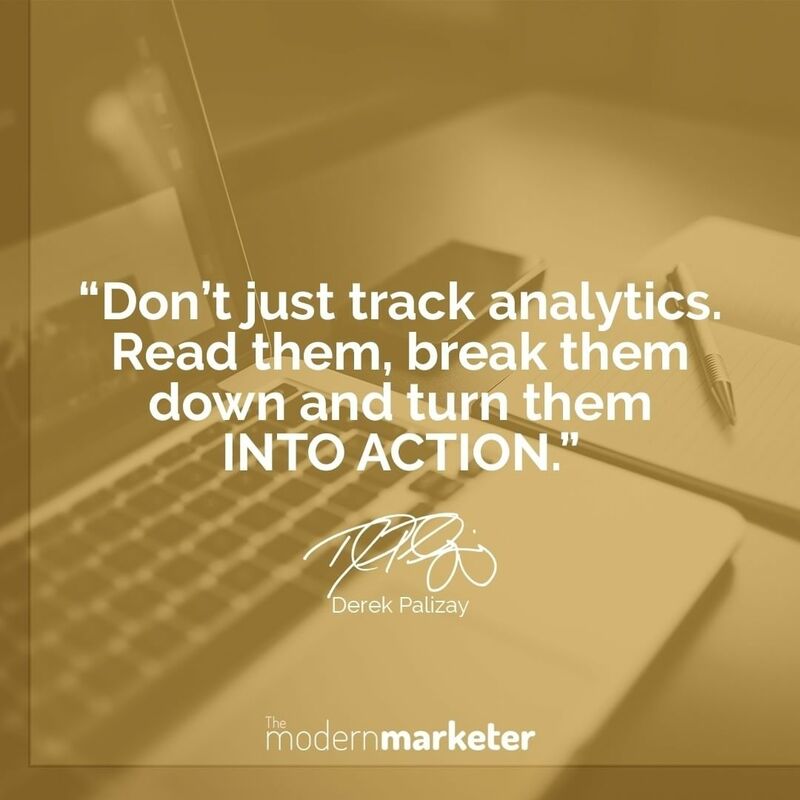 We need to get practical with what we track in our business, how we interpret it and most importantly, HOW we take action. Stop measuring the success of your online business by followers & traffic. Vanity metrics don’t matter if you can’t grow your bottom line.